Join the NBA Midlands committee for two fantastic farm walks this February as they host two knowledge sharing, networking events in Northamptonshire. Open to all with an interest in the beef industry this series of FREE events have something for everyone. The first of the two farm walks will focus on pre and post calving health management. Sponsored by Calfmatters from Boehringer Ingleheim and Caltech Crystalyx the walk will take place on Thursday the 8th February, starting at 11am and include workshops on optimising neonatal health and balancing nutrition pre and post calving and will be followed by a complimentary lunch. 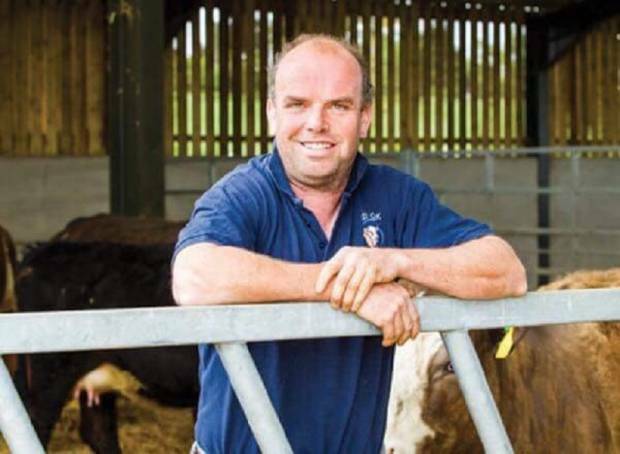 Young farmer and previous winner of the NBA Future Beef farmer award, James Bonner will be hosting the farm walk at Whitfield House Farm, Brackley, Northamptionshire. Bull calves are kept entire and finished in a 16 month system and sold deadweight and heifers are sold through local markets as 12-14 month stores. Cattle are fed on a TMR incorporating home grown maize silage and some bought in concentrates. The second walk will be held on Thursday 15th February at 6.30pm at Red Oak Farm, Brackley, Northamptonshire. Owned by Owens Farms Westbury Limited the walk is being held with the kind permission of George Coles the Herd manager. Sponsored by AB Vista the walk will concentrate on improving efficiencies on farm. George was a finalist at the 2017 British Farming Awards for the prestigious “Beef Innovator of the year” award for his ability to bring new lines of cattle genetics to the UK and his use of pioneering thermal technology to assist in the running of his pedigree Simmental cattle herd. Both Simmental and Red Aberdeen Angus are produced from a suckler herd through to finishing for a range of end markets including 16 – 22-month steers for Dawn Meats. The Red Oak Simmental herd were established in December 2014 with the purchase of Tilbrook Wander and son Forest from the Tilbrook herd while the Red Oak Red Aberdeen Angus pedigree herd was initiated in 2013 after a meeting with Ricardo Truffer, a vet and farmer from Argentina. Embryos were imported from Mr Truffer enabling a new line of genetics to be brought to this side of Atlantic. The Simmentals are finished between 270 – 400 kilos, while the Angus are finished between 330 – 370 kilos on a TMR grass silage-based diet. To book your FREE place on either of the two farm walks please contact NBA head office by calling 01434 601005.